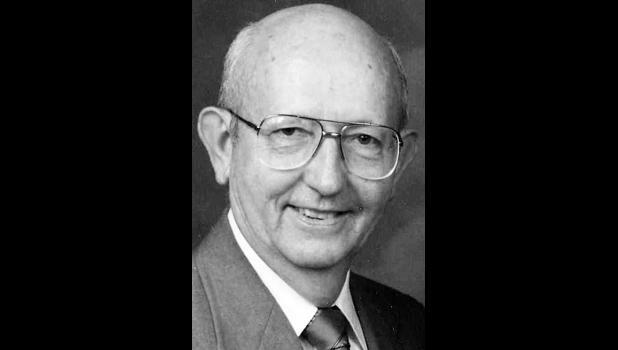 Paul F. Helus, 88, Topeka, died Friday, Nov. 21, 2014, at his home. Paul was born on a farm outside Wilson in Ellsworth County on Nov. 7, 1926. He was the son of John and Mary (Kaitman) Helus. He graduated from Ellsworth High School in 1944. Paul entered the Navy at 17 and started boot camp in Great Lakes, Ill. He was in the LCT core, where he served in WWII. He was honorably discharged in Norfolk, Va., in 1946. He worked for Southwestern Bell for 43 years. Paul volunteered 20 years at the Topeka Public Library in the talking book section as well as with the Boy Scouts and the Rescue Mission. He married Winifred Kyler on June 12, 1948. They were married for 67 years. Other survivors include his two sons, Kevin (Deborah) and Scott (Dena); daughter, Dee Ann; seven grandchildren and five great-grandchildren. Paul was preceded in death by his parents and seven siblings. Cremation has taken place and memorial services will be held at Penwell-Gabel Southwest Chapel, 3700 S.W. Wanamaker Road on Tuesday, Nov. 25 at 11 a.m. The family will receive friends starting at 10:30 a.m. In lieu of flowers, memorial contributions may be made to Helping Hands, Topeka Rescue Mission and the Salvation Army.